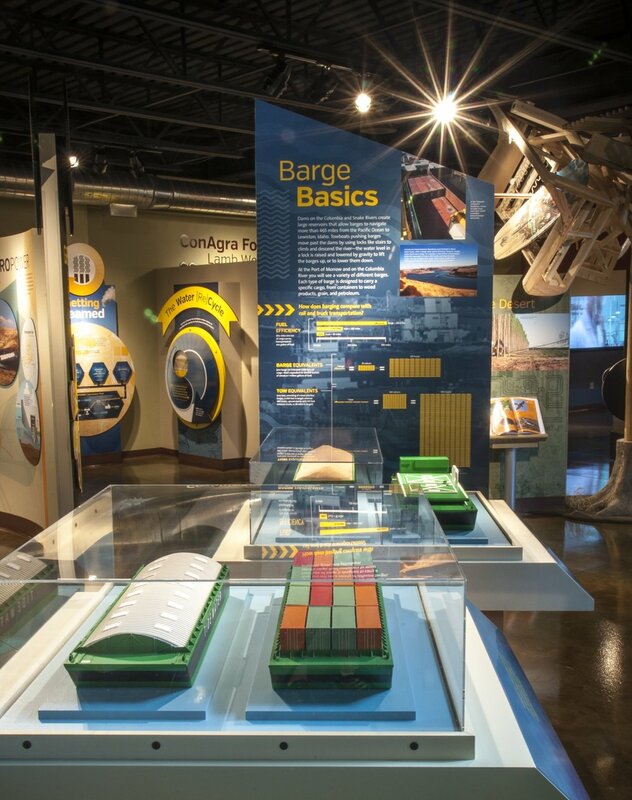 At the SAGE Center, visitors experience this region’s agricultural, industrial, and transportation heritage and future. Throughout 9,825 square feet of exhibits, a central kinetic sculpture whimsically illustrates a potato’s journey to becoming a french fry. A simulated hot-air balloon ride will carry visitors over the mighty Columbia River, a vital source for all life and industry. Photos, artifacts, flipbooks, e-readers, and other interactives introduce the area’s prehistory, the coming of settlers and dams, and today’s efforts to encourage sustainable practices so that this region can continue to produce food, timber, hydropower, and wind power, in harmony with nature.